Alice Through the Looking Glass had some of the most amazing costumes. 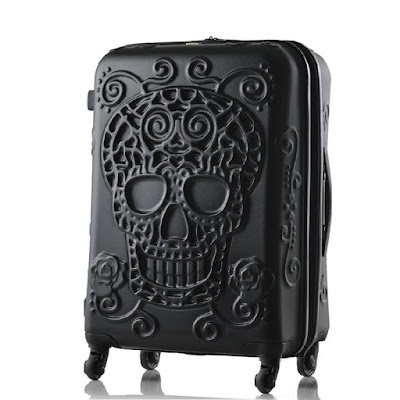 It's a Tim Burton film, so I shouldn't expect anything less. I'm sure some of your kids would love to dress up as Alice, the Mad Hatter, or the White Rabbit! Look at these magnificent Alice Through the Looking Glass children's costumes by Disguise on Amazon. They also have these children's costumes on eBay too! When I saw the movie, I thought this Alice Asian costume was rather interesting. It's a great costume on its own, but as for the movie, very strange. Maybe one of your girls would be excited about wearing this eccentric and funky attire! They have the Asian Alice costume on eBay as well. 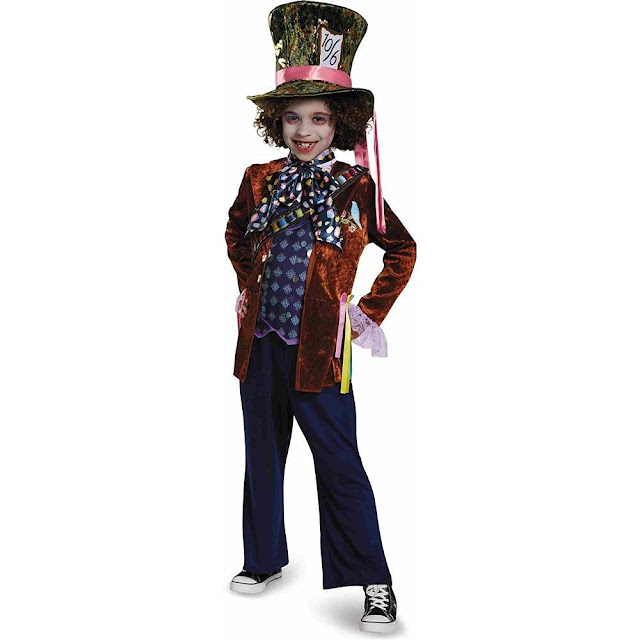 This wild Mad Hatter children's costume is pretty amazing. Everything in that picture, the only thing you would have to do is tease your hair! That copper velvet jacket is pretty stylish. Find this children's Mad Hatter costume on eBay too. This is absolutely precious. 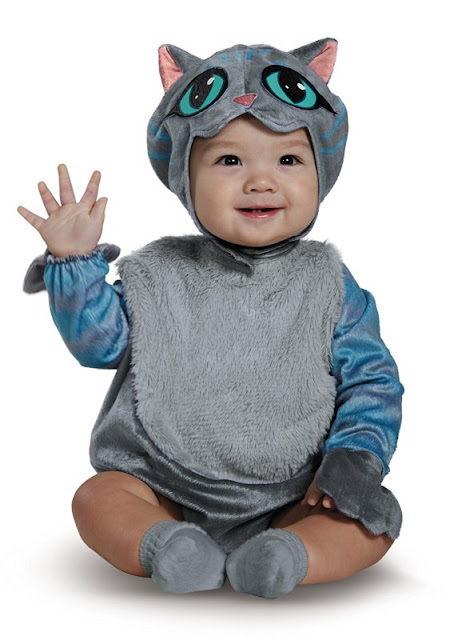 I want to dress up my little niece in this Cheshire cat infant costume! It's actually a perfect costume, thinking back on the movie. Since there's so much time traveling, we get to see what the Cheshire cat looks like as a kitten. This Cheshire cat infant costume is on eBay! 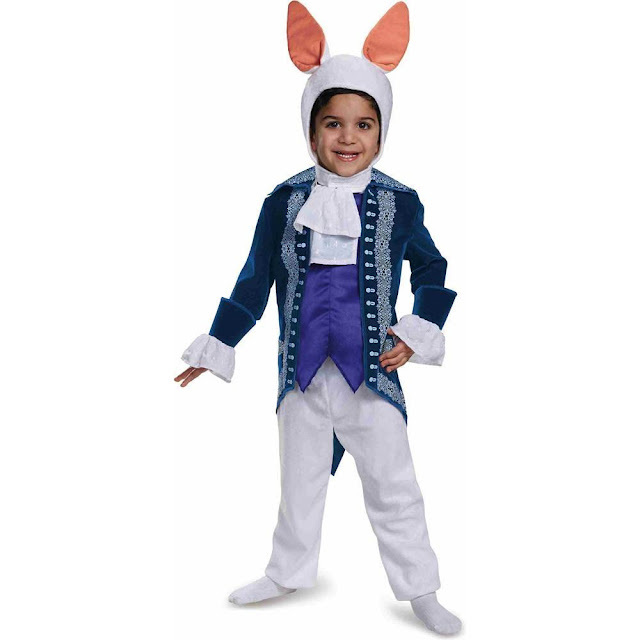 I am impressed with how sophisticated this White Rabbit children's costume is. I love the white lacy cuffs and the blue velvet jacket! The needlework on the jacket is also really amazing. This White Rabbit costume needs a pocket watch to check the time! 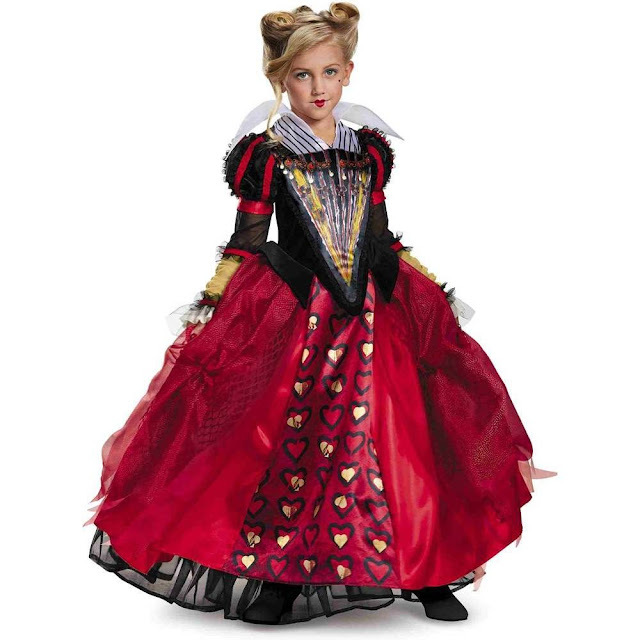 The front of this Red Queen children's costume looks stunning. I can't tell if it's pleated or if there are ribbons hanging from it. This is the most fun children's costume in my opinion. Doing the makeup, hair, and acting like the Red Queen would be so hilarious! Plus all the frills and layers are so whimsical! What an elegant little costume. The White Queen costume would be hard to distinguish between other white costumes. She looks like the Snow Queen from Hans Christian Andersen's fairy tale. 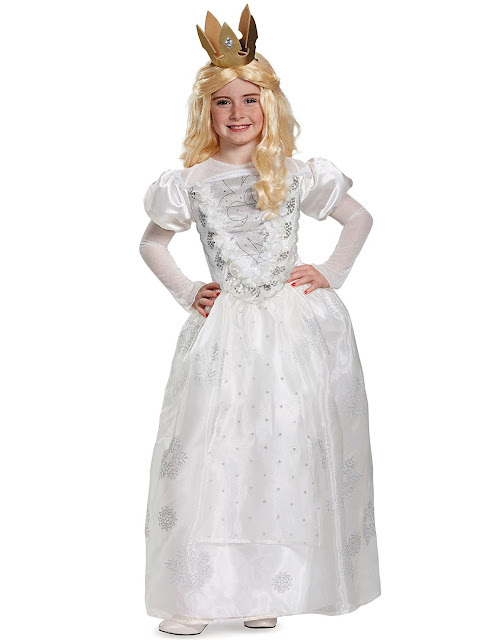 This White Queen costume is also available on eBay. 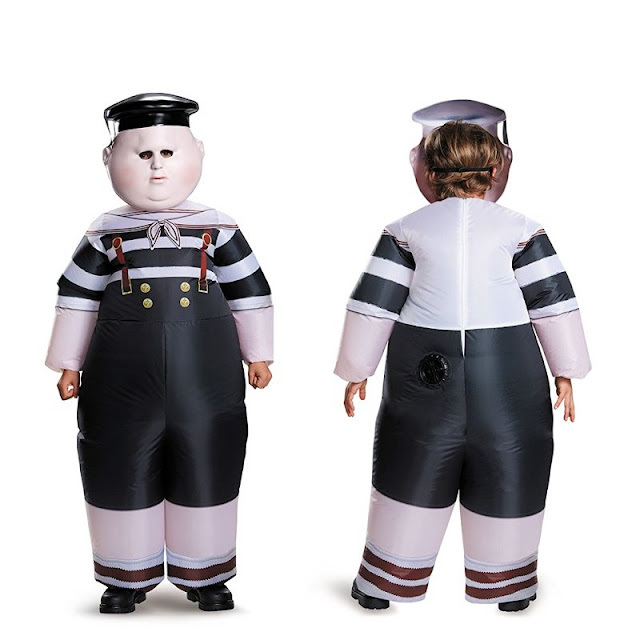 This Tweedle Dee/Dum costume is so frightening. I don't know if you want to encourage your kids to wear one if not both of these for Halloween! 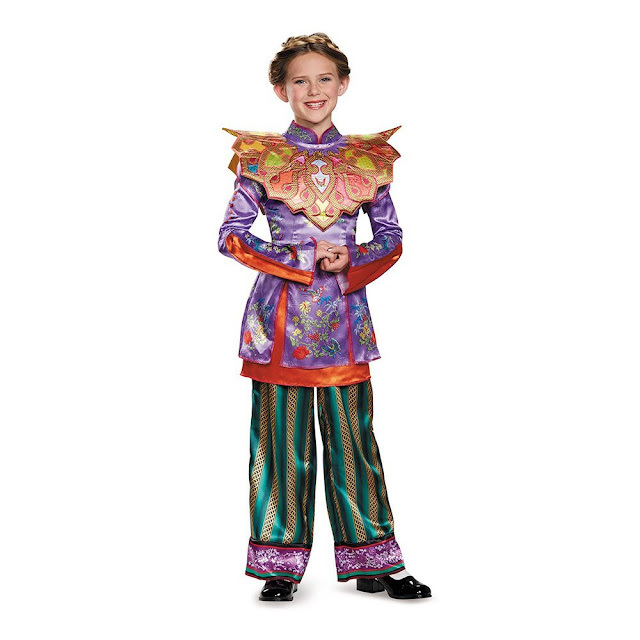 Check out more Alice Through the Looking Glass children's costumes by Disguise on Amazon and on eBay! They're pretty wacky and fun! 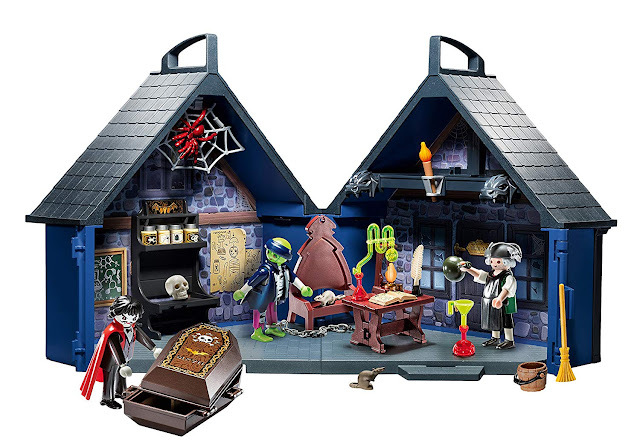 You could get a group of friends together and dress up as all of the characters for trick or treating. Comment below!